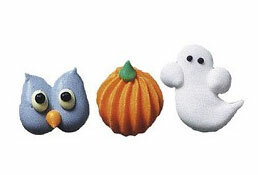 $12 for $24 Worth of Cookie and Candy Making and Decorating Supplies from MyCandyCrafts.com Just in time for Halloween! MyCandyCrafts.com is a newly launched online candy-making and baking supplies superstore with more than 4,000 edible decorations, craft tools, cookbooks, melting chocolates, candy and chocolate molds, bags, boxes, bows, and more. MyCandyCrafts.com officially launched in September 2011 and is the sister site to the ultimate online candy store, Candy.com.